More than four in 10 hospitals in England declared a major alert in the first week of the new year as they encountered unprecedented pressures. Sixty-six out of 152 trusts raised the alarm as mounting bed shortages led to large numbers of patients experiencing trolley waits and delays in A&E. Data leaked to the BBC earlier this week suggested only one trust hit its four-hour A&E target. But now official figures have revealed more about the scale of the problem. The number of major alerts, which used to be known as red and black alerts, is the highest of the winter. And performance against the four-hour target appears to have sunk to its lowest level since the target was first introduced in 2004. Major alerts are raised when hospitals are struggling to see patients quickly enough. To cope, hospitals have to start calling in extra staff, cancelling routine treatments, such as knee and hip operations, and diverting ambulances away from their hospital – this happened at 39 A&E units. The ultimate step is a full closure of A&E, but none took this step, the NHS England update showed. Weston Area: Nearly half of patients attending the Somerset hospital spent more than four hours in A&E last week with bed occupany hitting 100% on some days – well above the 85% “safe threshold”. The trust said it had been a difficult week and it had opened extra “escalation” beds to help. Mid Yorkshire Hospitals: The trust runs three hospitals and following the new year bank holiday it declared a major alert. It spent the rest of the week on level three status. Nursing director David Melia said the trust had been doing all it could “to alleviate the pressures” by opening up extra beds and putting more doctors on the wards. Brighton and Sussex University Hospitals: The trust has been on major alert status since December 30 hovering between level three and four, the highest level. The trust said it was having to prioritise the sickest patients and, as a result, some people were having to wait longer. Just over 74% of patients were seen in four hours last week. John Radcliffe Hospital: Bosses have cancelled all non-urgent operations as part of its response to a week-long major alert. 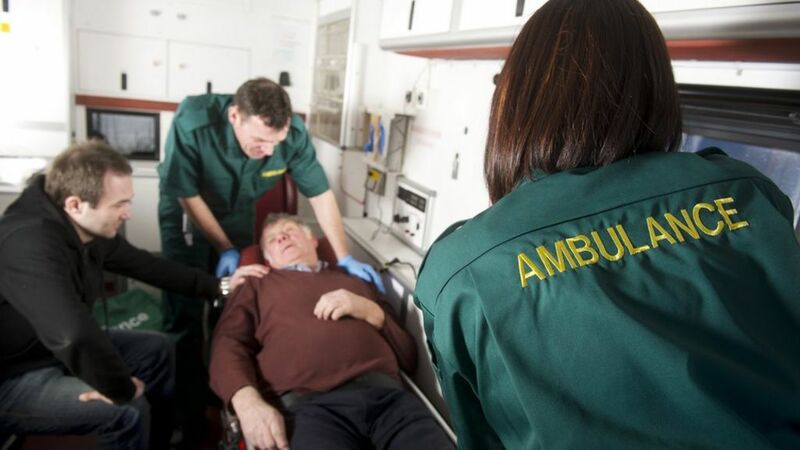 Data suggests one in five patients are waiting over four hours in A&E. Dr Chris Moulton, of the Royal College of Emergency Medicine, who works at Bolton Hospital, which ran out of beds at one point last week, said: “It has been a really difficult week for everyone. We are in the middle of what is probably the most challenging period for the past 15 years. In Northern Ireland, nearly four in 10 patients waited more than four hours in A&E during the Christmas period. Hospitals also reported having to temporarily close A&E units to ambulances. In Wales data is only available for September, but even that showed nearly one in five patients were waiting longer than four hours. Scotland is performing better. In the Christmas and new year week 92% of patients going to major hospitals were seen in four hours. Chris Hopson, chief of executive of NHS Providers, which represents hospitals, said the health service was in an incredibly vulnerable position. “Thanks to the heroic work of NHS staff, the majority of trusts are managing to keep their heads above water – just. “But the pressure on our hospital, ambulance, community and mental health services is unsustainable, and the resilience of the system to cope with unexpected shocks, such as flu outbreaks, is impaired.